Lucas loves to color and draw. He will sit for 30 minutes or more and scribble on plain paper, in coloring books, or construction paper. 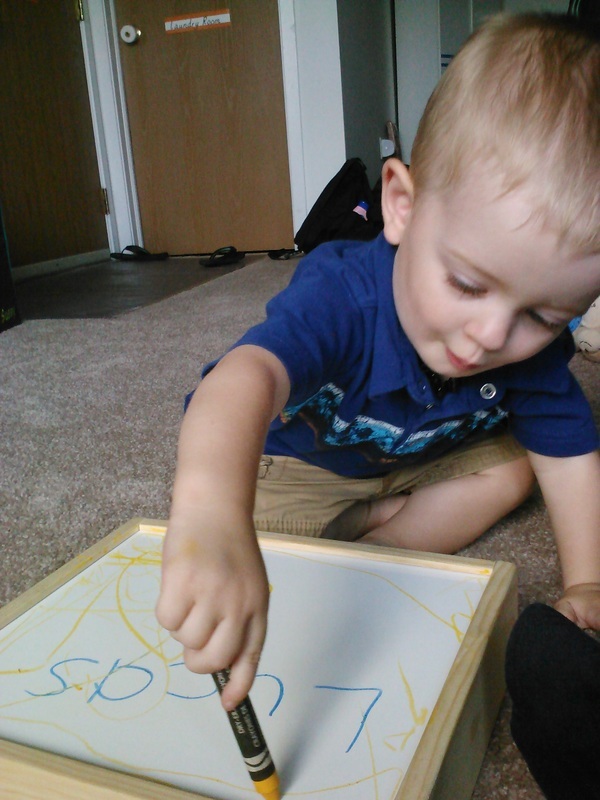 He loves markers, crayons, and paints, but finding supplies that are toddler-safe and easy to use is difficult without access to a teacher or art supply store. Here are a few things that I have found work with Lucas and some of the kids from the Daycare. I guarantee hours of fun and laughs, as well as some quality time spent with your kids. I found this Crayola TaDoodles Sing and Scribble Art Station for Lucas on Amazon, for an AWESOME price. While he was still a little young for it at around 13 months, I couldn't pass up 65% off! TaDoodles come in markers, stampers, crayons, paints, and even bath crayons! They're similar to Weebles, that they are weighted and don't fall over. Lucas has an easy time gripping the markers, but you have to press down pretty hard for them to work at first. For now, he likes watching the lights and listening to the songs that the base sings. As he gets a little older, I'm sure that he will LOVE the markers. Melissa and Doug make these awesome Learning Mats, which come in a variety of designs, and are a breeze to clean. 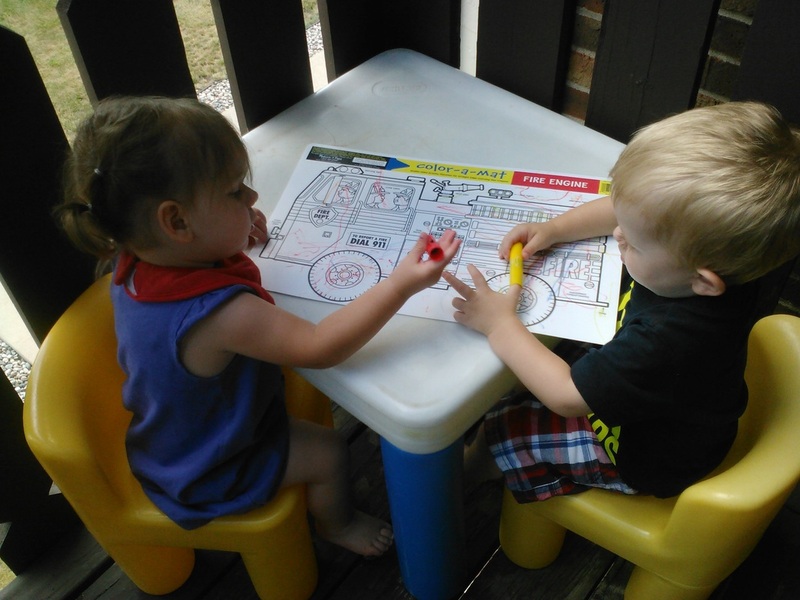 After your child is done coloring, simply wipe with a damp paper towel, and VOILA! The accompanying crayons only come in 5 colors, but are very affordable and easy to use. It's a great opportunity to work with your child on numbers, letters, animals, and colors. Lucas and I often color together, and he loves to help clean the crayon away when we're finished. Lucas received one of these as a gift from his Great Great Auntie Karen, and he instantly fell in love with it (and I'll admit, I did too!). It is a wooden box with a personalized chalk board on one side, and a dry erase board on the other! The front slides up to reveal storage inside! They're hand made in Michigan by Karen Kennedy, and super, duper awesome! We use Crayola Dry Erase Crayons for the white board, and chalk on the back! Nearly all of the sidewalk chalk you find is non-toxic. I've seen kids eat entire sticks of the stuff and it doesn't adversely affect them (except maybe for the color of their, well, um, I think you get my point) or make belly aches. 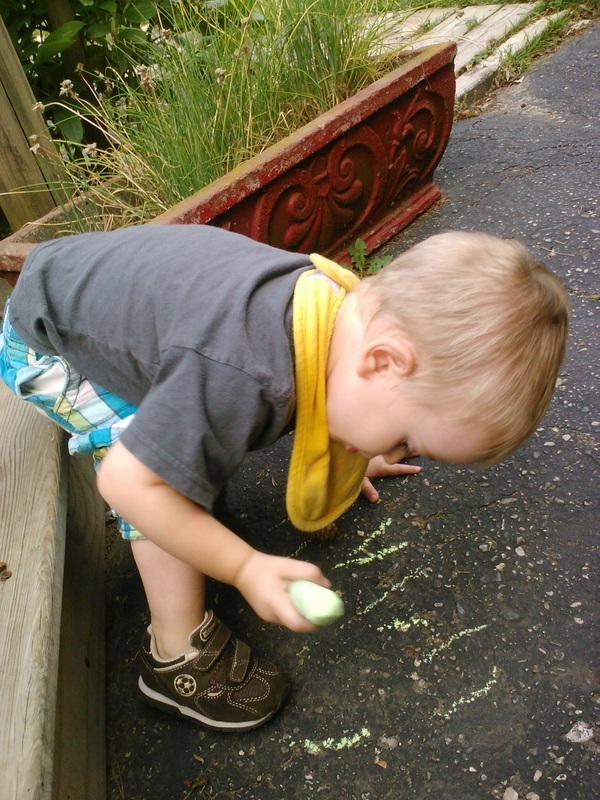 The best part about chalk is that you leave the mess outside! It washes out of clothes and off skin easily, and rinses away when it rains! The bright colors show up on dark pavement with little effort, and your child's canvas is only limited by the size of your driveway! Plus, it's pretty cheap and you can stock up on dollar-store chalk in the spring, and it will last you through the winter months! Finally! Crayons that don't roll! 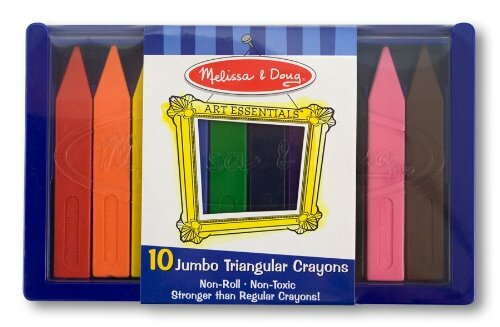 Not only are these Melissa and Doug crayons un-rolly, but they're made of plastic (not wax! ), so they are not messy, and you don't end up with little crayon shavings all over the place. The size is just-right for Toddler hands! They come in sturdy plastic cases, which are great for travel and storage. Lucas has the 10-pack, which includes just the right number of colors for a Toddler.